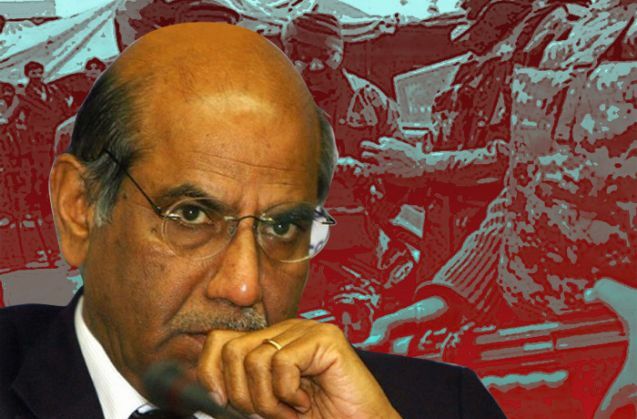 Shyam Saran has submitted a comprehensive national security policy to the govt. Will Modi implement it? Perhaps for the first time in the recent part, there is a great deal of debate on what constitutes India's "national character" and its "national interest". India should be a "democratic, socialist nation", former foreign secretary and the UPA government's National Security Adviser Shiv Shankar Menon told a leading newspaper recently. Yet another leading light of the Indian diplomatic community has described India as a "plural, secular, democratic and egalitarian society". Both diplomats said that they drew their inspiration from the single-most important document which forms the basis of our "national consensus" - the Constitution of India. This appears to be the bedrock of the draft National Security Policy that Shyam Saran, former chairman of the National Security Advisory Board (NSAB), has prepared and handed over to the Narendra Modi government in January 2015. An informed source said that this previous NSAB wanted the document debated in public but apparently the Modi government decided otherwise. The draft National Security Policy is a much needed document that would guide various doctrines related to external and internal security. If adopted officially, it will fill a huge void in the higher defence management of the country. This void had become extremely visible during the recent terror attack in Pathankot. That episode was a clear case of a flailing higher command management seeking to get ahead of an internal security situation that had an external dimension. So what are the main features of this draft policy? According to a key source, it isn't a conventional national security document, but a comprehensive concept paper, that sheds light on 5 key issues, and 1 overarching element. The final issue of overarching importance that this draft document raises is "strategic communication". The 2015 NSAB document states that to achieve security in these 5 dimensions requires the use of "comprehensive national power" for the country and its people. The draft national security document also states that the government must not take decisions in individual silos as far as these 5 elements and 1 theme of national security are concerned. Rather it calls for cross-domain exchange as these subjects are inter-related. "Take the case of Pathankot. There is the suspicion of an economic driver which led to a crisis of internal security that had an also external dimension. So the authorities have to take a holistic view while trying to address these challenges," said a source. Often a violation of ecological security also impinges on economic security. Take the issue of water. Contamination of water or the rising sea levels due to global warming affects the economic security of a country. In coastal areas, it may even be a matter of survival. The draft even suggests a plan to project "national power". The chosen service for this exercise is the 'silent service' - the Indian Navy - whose budgetary allocation needs to jump to 30% from the present 10-odd per cent of the defence budget. As the source revealed, the policy has gone much beyond issues of national security. It has even entered the domain of constitutional rights as well. Apparently, the document provides for the "enjoyment of individual rights, not necessarily a communitarian nature".However, the source explains that in the short term, the rights might have to be defined as being enjoyed collectively by the community. What needs to be seen is whether the BJP-led NDA government is able to reconcile this document with the constitutional consensus. There lies the rub for the first ever National Security Policy this country has ever heard about. TWEET THIS Navy can be deployed to project India's national power, suggests the draft National Security Policy Shyam Saran has submitted a comprehensive national security policy to the govt. Will Modi implement it?